Live on the edge! There’s something about city girls—they have a certain style je ne sais quoi! From structured silhouettes to sultry color palettes we’re taking a style cue from the ultra-cool ladies of our city streets. Channel your inner urban prepster or go bold in swanky leather details as you hit the concrete jungle. See three ways to get the look! Get right for girls’ night in distressed denim and caged pumps. 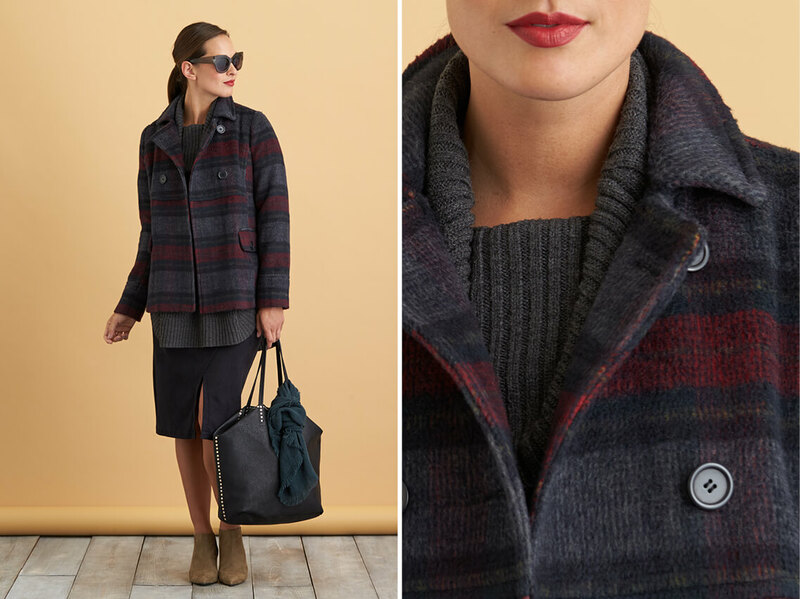 Add an element of surprise with texture—like tweed! It’s a classic pattern and the structured shape makes it modern. Pair it with a slouchy blouse for an effortlessly-cool vibe. Stylist Tip: Show of your shoe-ties! Slightly cuff your jeans—just above the ankles for major street-chic style. It goes without saying an all-black outfit is the unofficial uniform of city dwellers. Opt for (faux) leather details, long layers and a hot red lip to add interest. A sleek straight hair-do complement a modern ensemble. Spruce up a neutral filled closet with statement outerwear. Don’t be afraid to go big with a chunky knit underneath—pair the combo back to a pencil skirt or skinny leg pant for a perfectly proportional silhouette. A bomber jacket is anything but JV. This collegiate-inspired piece has gotten a major upgrade since grade school. 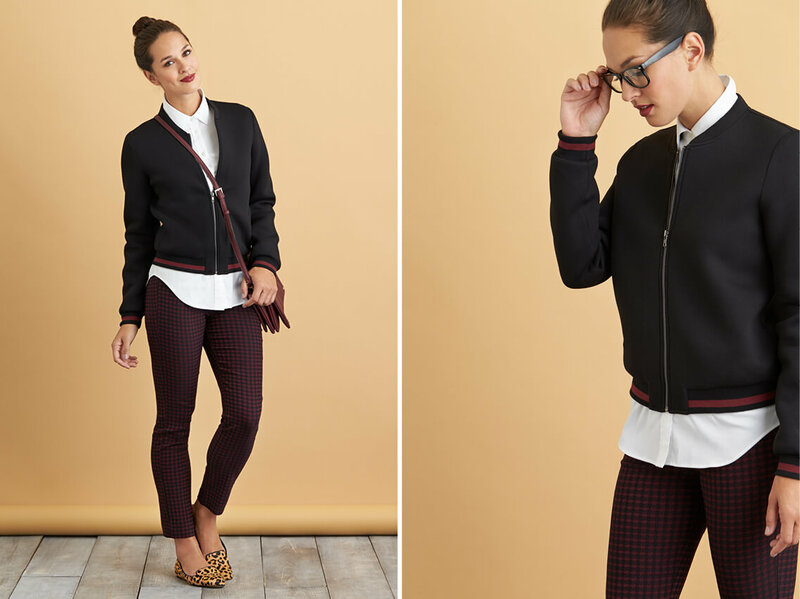 Balance out this sporty outer layer with work trousers and a crisp button-up. Complement the playful look with a top-knot bun and statement frames. Love this edgy style? 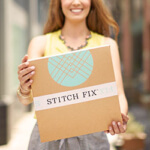 Schedule a Fix and let your Stylist know!